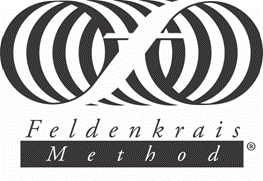 The Feldenkrais Method is for anyone who wants to reconnect with their natural abilities to move, think, and feel. Whether you want to be more comfortable sitting at your computer, playing with your children and grandchildren, or performing a favorite pastime, these gentle lessons can improve your overall well- being. After experiencing Feldenkrais(R) lessons, people often express feelings of relaxation and ease. They may breathe more freely and find their thoughts have more clarity. The learning process is full of pleasant surprises and personal breakthroughs. In Awareness Through Movement(R) lessons, the teacher verbally guides you through a sequence of gentle movements intended to help you develop a greater awareness of how you move. These lessons occur in a group setting. Functional Integration(R) lessons are designed to meet your personal needs. Communicating through touch and movement in addition to words, the teacher guides you in your one-on-one process of self-discovery. Regardless of which learning style you choose, the Feldenkrais Method can help you overcome limitations brought on by stress, misuse, accident, or illness.